Valentine’s day is just around the corner and we hope you will be able to share it with your the special someone on the beach. 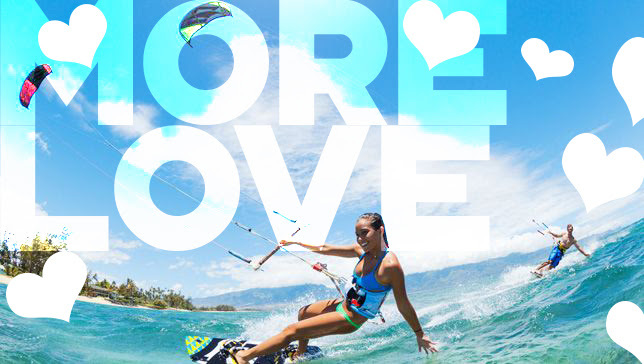 We love Kitesurfing Couples and we hope to see more and more of them. 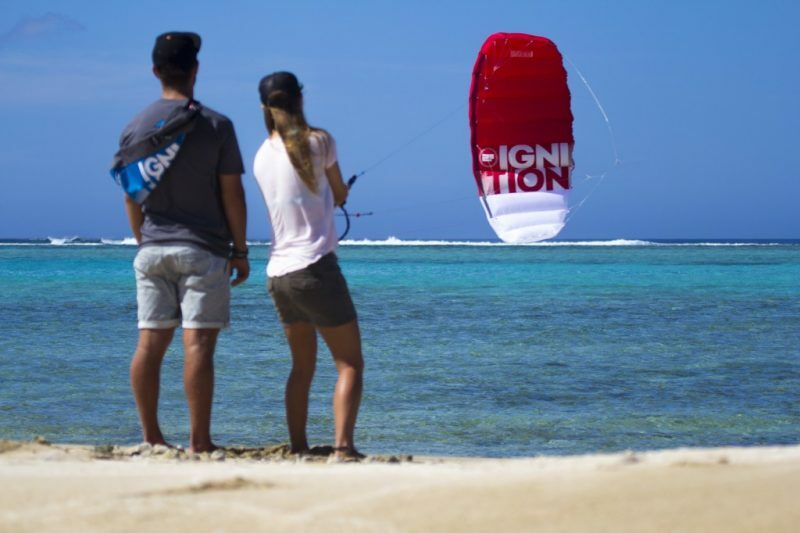 Here are some of our thoughts about kitesurfing as a couple. It is a great idea to share your passion for kitesurfing with the loved one, but remember that people like different things and kitesurfing doesn’t have to be one of them so remember to offer and not force kite lessons. Going to the local kitesurfing beach is a great way to introduce the sport without commitment. Get a trainer kite that is safe to use and get your partner to try flying it. Trainer kites are safe and an easy way to learn basic kite steering and grasp the wind theory before learning on the inflatable kites. They are also a great way to spend the day at the beach more actively with a lot of laughter. If you managed to get your partner interested in kiting now is the time for them to learn. If you are a kitesurfer you may be tempted to teach your partner yourself, but it is not a good idea. 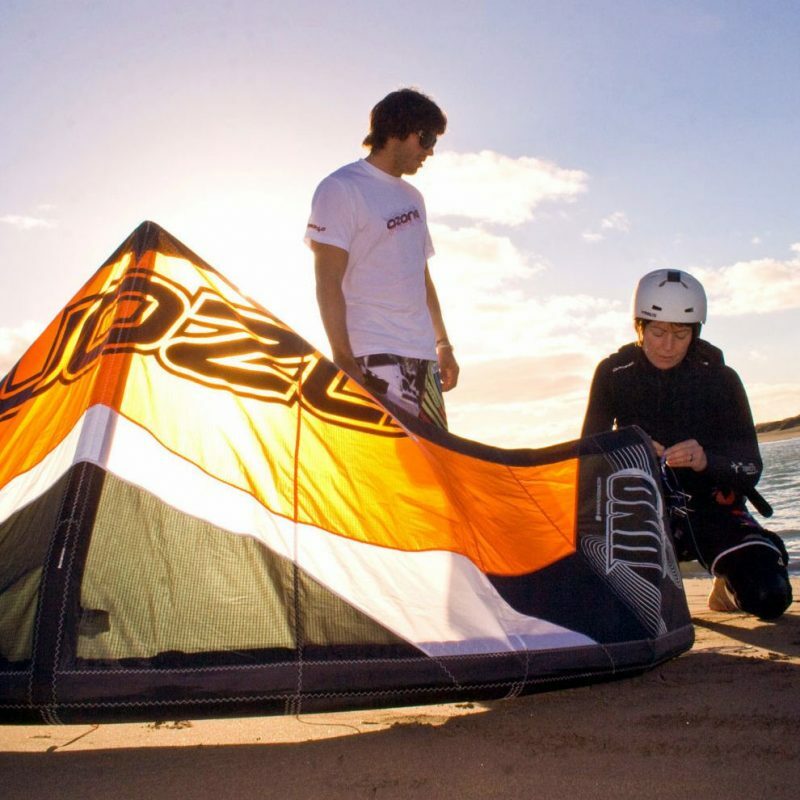 There are techniques and tricks that allow the qualified Kitesurfing Instructors teach the students safely and effectively. We have seen a lot of kitesurfers trying to teach their partners and most of the times it ends up with an accident or in the best case scenario with an argument. To avoid this kind of situations book a lesson with the experienced instructor and support your partner from the beach. If you are both having lessons, consider booking private lessons for each of you instead of the group lesson, to ensure the best results and to avoid unhealthy competition. Finally, you both good enough to be kiting independently but your partner doesn’t have own gear yet and wants to use yours. As much as you love your girlfriend or boyfriend it is sometimes hard to share, especially when you only get few windy days in a month. Get them a gift voucher to help them get their own kitesurfing equipment. Until then use the gear in turns. Agree before coming to the beach who can have a go first and for how long while the other person takes the pictures. Keep the track of your kiting session with the waterproof watch. If your other half does not share the passion for kiting and despite the efforts doesn’t want to try, don’t force it. Better make them enjoy the day. Pick a place sheltered from the wind so they can watch your amazing performance and wait for you in comfortable surroundings. Make sure you bring enough of sun cream for both of you. Get them a pair of polarised sunglasses and a hut to protect from the sun.